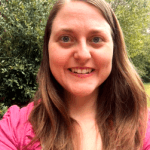 SAMANTHA BOWICK has a Master of Public Health degree from Liberty University. She received a Bachelor of Science degree in Health Care Administration at Columbia Southern University. 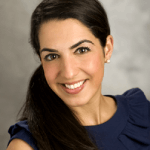 She is devoted to using her education and experiences to advocate for women who suffer with endometriosis. She currently lives in Aiken, South Carolina. 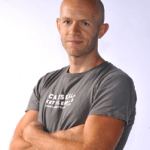 PAUL FREDIANI, ACE, ACSM, is a nationally recognized fitness trainer and educator. He has been featured on national television and in magazines, including Fitness, InStyle, and Self. Certified by the American College of Sports Medicine and the American Council on Exercise, he is a C.H.E.K level I practitioner. 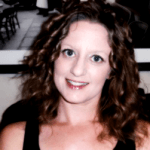 CATHERINE GILL is a writer, blogger, and holistic vegan chef who specializes in natural and health foods. She studied and found her passion in writing, literature, and social science in college. She runs the popular blog The Dirty Vegan since 2010, focusing on comfort-food-style vegan recipes that are fun, accessible, and healthy. 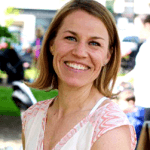 SARA HAAS, RDN, LDN is a food and nutrition expert with formal training in the culinary arts. 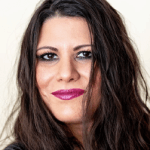 She works as a freelance writer, recipe developer, media authority, public speaker and consultant dietitian/chef. Sara is a former culinary and nutrition instructor and served as a National Academy of Nutrition and Dietetics Media Spokesperson. 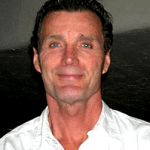 ROGER HALL is an HKC certified kettlebell trainer. He holds a master’s degree in education from the University at Albany. Roger has trained and been involved in fitness for 8 years. He currently lives in upstate New York where he opened a thriving kettlebell studio. 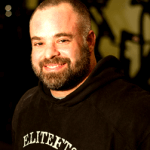 DAVID KIRSCHEN is the Director of Personal Training and Strength Coach at New York’s EVF Performance gyms. 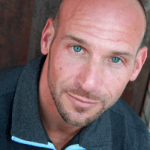 He has 15+ years of personal training, coaching, education, and club management experience at Asphalt Green, Equinox, Cando Fitness, and American Leisure. GWEN LAWRENCE has been a practicing fitness professional since 1990. Her current practice includes private yoga training, class instruction, her sport-specific Power Yoga for Sports training program, and her VYX™ (Vinyasa Yoga Extreme) system. HOLLIS LANCE LIEBMAN, prior to his career as an author and personal trainer, has been a fitness magazine editor, national bodybuilding champion and published physique photographer. Hollis has also served as a bodybuilding and fitness competition judge. He is the author of Complete Physique.